Mysuru: Eleven persons including six children suffered injuries yesterday when a giant gas balloon exploded at Cauverypura in Srirangapatna taluk of Mandya district. The group of people was making arrangements to welcome Congress President Rahul Gandhi and was filling the balloons from a cylinder, when the accident occurred. The workers from an advertising agency in Bengaluru had filled the balloon, with a giant hand (Congress) symbol, with gas and were doing trial at 4 pm near a residential area next to the Bengaluru-Mysuru Highway when it exploded in air. The children who were watching the balloon received serious injuries. The injured have been identified as 28-year-old Varun from Bengaluru, 40-year-old driver Dasharath, 8-year-old Preethi, daughter of Nataraj, a resident of Old Santhe Maidan at Srirangapatna, 10-year-old Madesha, son of Kumar, 18-year-old Sindhu, daughter of Siddarama, 15-year-old Rahul, 11-year-old Shabnam, 29-year-old Kiran of T. Narasipura, 18-year-old Abhi and 27-year-old Ramesh. The identity of one more person has not yet been established. 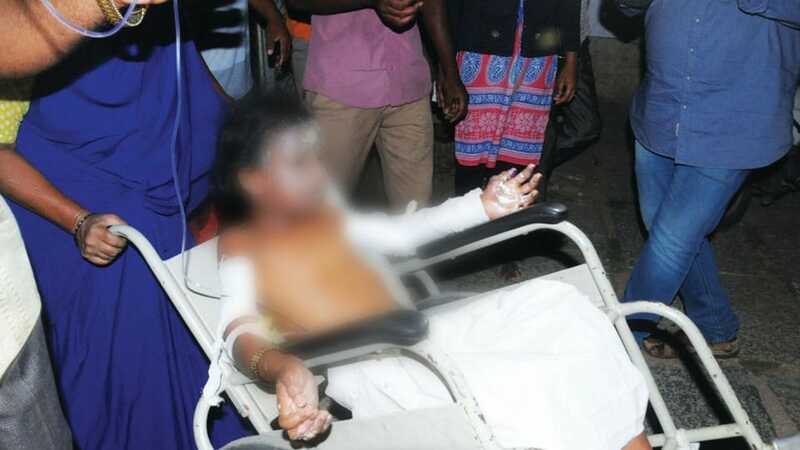 Madesh, Preethi, Kiran and Abhi sustained serious burn injuries. They were provided first aid at the taluk hospital and were later shifted to the K.R. Hospital in Mysuru. The intensity of the blast was so severe that the front portion of a nearby house was damaged. Varun said, “We were filling the balloons with helium gas from a cylinder to release it during the visit of the Congress President. Two balloons were tested and were released. When the third balloon was being filled, it burst.” The contractor would be subjected to inquiry. 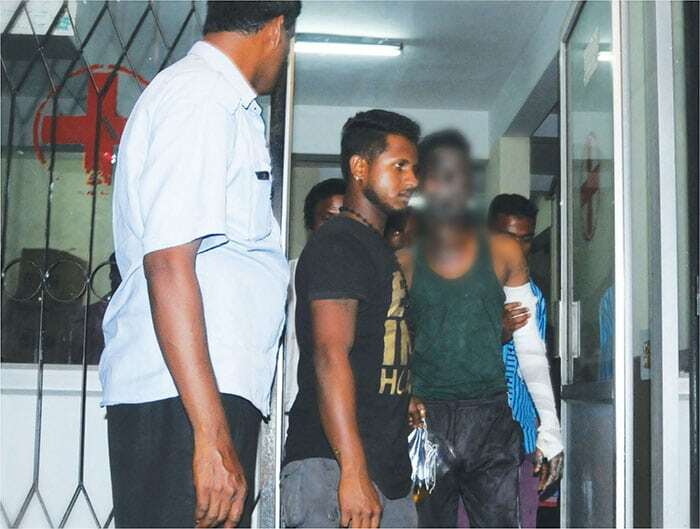 A probe will be conducted and action would be taken against the guilty, said the Police. Srirangapatna Police have registered a case. Reports said that nitrogen gas was being filled into the balloon. However, experts said that nitrogen is not inflammable as 70 percent of the air contains nitrogen. Experts said that they might have used hydrogen to fill the balloon. “It is not helium as reported in a section of the Press but hydrogen as it is cheap and easily available. Helium is not that easy to procure as it is expensive too,” experts said. This s a just sample… Imagine if he becomes PM what will be Indians’ fate… Oh God & Great Gurus come & save our Nation. May be foul play. Rahulji is safe. God is with Rahul.